Our workshop staff have been busy over the winter months preparing our service exchange stock ready for harvest. Pictured below are just some of the units we have in stock ready for immediate dispatch. Give us a call with the numbers off the tag of the hydro you need to replace and chances are we will have one to match. Our exchange hydrostatics are built to the highest standard and are fully tested prior to leaving our workshop. With the many transport companies operating in and out of Toowoomba, we can often have a hydro delivered to you the next day. 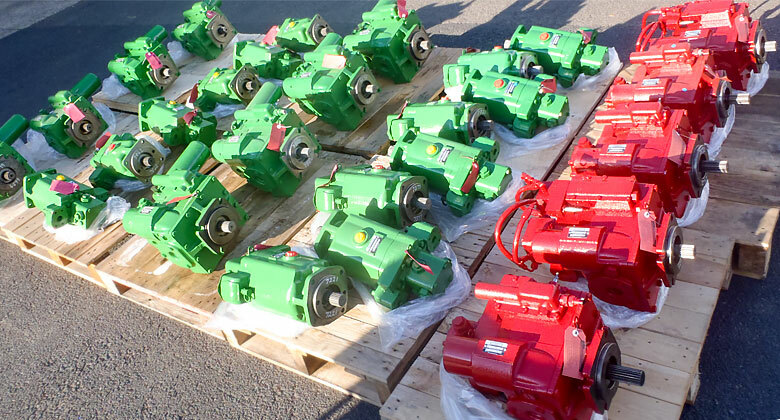 Contact us with any questions regarding in-stock hydrostatic transmission units.